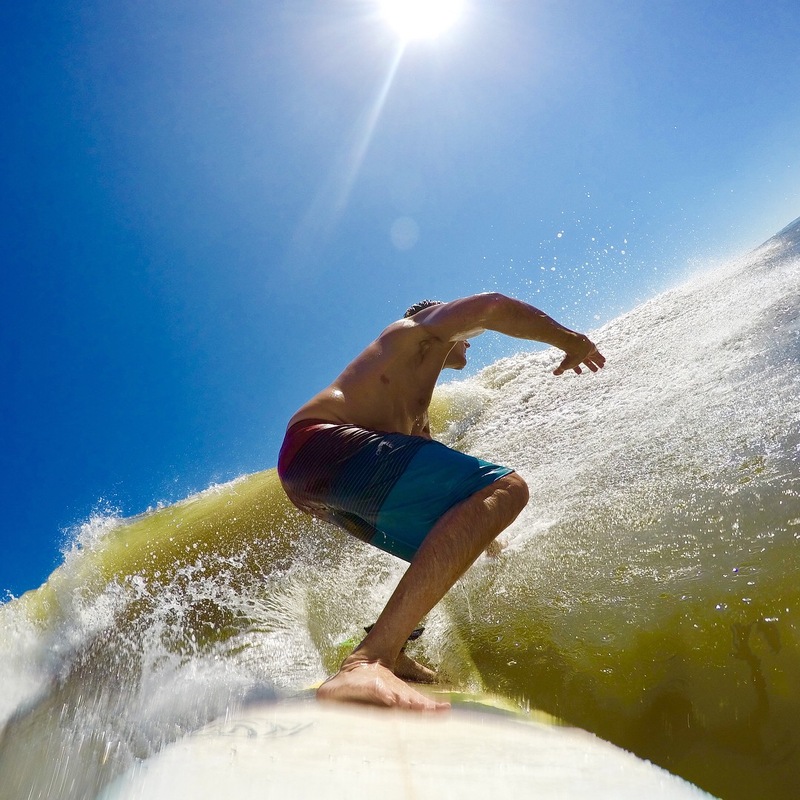 A few GoPro shots from the recent Hurricane Joaquin swell. These were all taken in the Ponte Vedra Beach area and inside Guana River State Park on October 3rd and 4th, 2015. 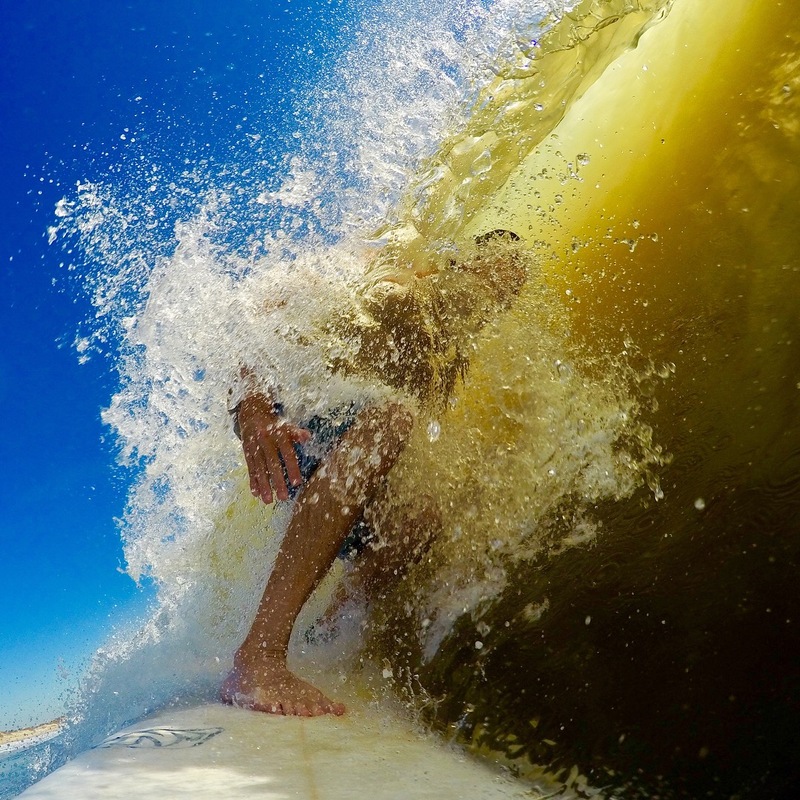 Good times after an unusually long, flat summer due the global El Nino weather pattern that brought waves to most of the rest of the world, but which inhibited tropical storm development this year in the Eastern Atlantic. 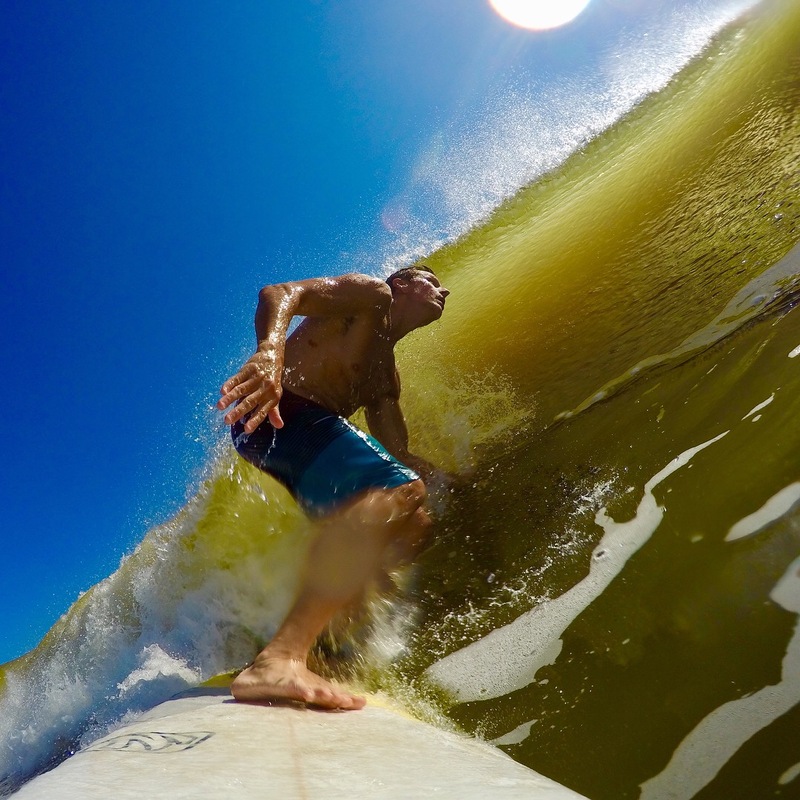 It seems all of that stored up energy was released in a single storm which provided some pretty epic Florida conditions. 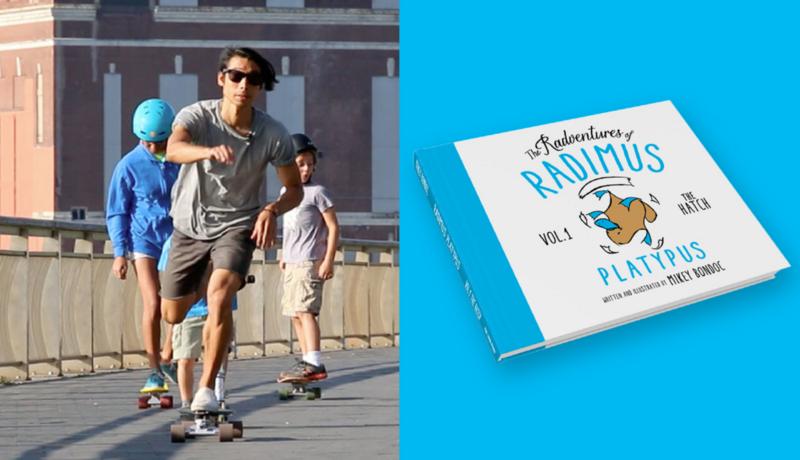 Another good one here from Portugal- “The Flying Machine” by Maquina Voadora on Vimeo. Not a wave to play around with! Drop in fast, get to the bottom and hang on! The Brazilian Storm: Force of Nature or Overblown? The World Surf League kicks off the Samsung Galaxy Championship Tour on February 28th at the Quiksilver Pro Gold Coast. There are many plot lines heading into the season, none more heralded than the arrival of the Brazilian Storm. Since last year’s Snapper event when Gabriel Medina, the new Brazilian World Champ made clear his intentions for an historic 2014 title run by taking down hometown favorite Joel Parkinson, the buzz surrounding the rapid ascension of the Brazos over the past 3 years, and more notably, the past twelve months- has reached a crescendo. 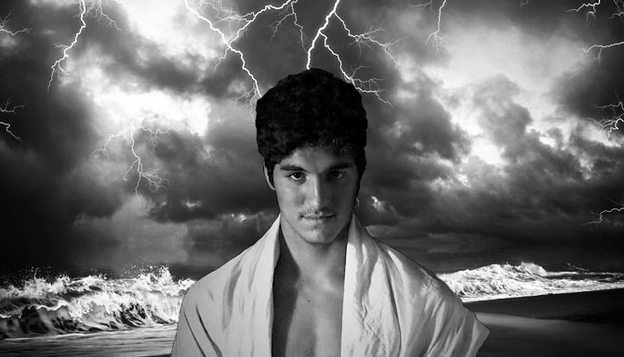 This year, with seven Brazilians on CT, Medina returning to make his title defense and some of the current CT elite getting up there in years, will we witness the Brazilian Storm evolve into a veritable force of nature or watch this impressive run-up dissipate into something far more mundane? Rest assured, I’m not a hater. I admire the Brazilians for their tenacity and passion. I used to date a girl from Rio when I lived in south Florida. She and her friends lived packed together in a tiny little apartment with barely any possessions, but the clothes on their backs. But they were all intelligent, kind people who loved life and weren’t shy about showing it regardless of what may have been occurring around them at any time. Little Claudia and her friends always talked about their home- their deep love for it, as well as the heartbreaking political and socio-economic problems its citizens faced (And that was a long time ago. Clearly things have been too slow to change). But no matter where our conversations went, they always returned to just how special her people and her country were. So, I’m not here to disparage the Brazilians. Just to offer some balanced perspective in the face of media hype, and before the rest of us Americans, Hawaiians*, Australians, South Africans and Europeans cede the next 10 years of CT glory to the Brazos. Here’s why bustin’ down the door doesn’t necessarily mean Brazil will be taking over the house. The Brazilians begin the year with two rookies, Wiggoly Dantas and Italo Ferreira both coming from the QS. Both are very talented with Italo looking particularly sharp in small waves and Dantas with a history of nutting it up in smaller and larger surf. That said, the shift from the QS is still notoriously hard. 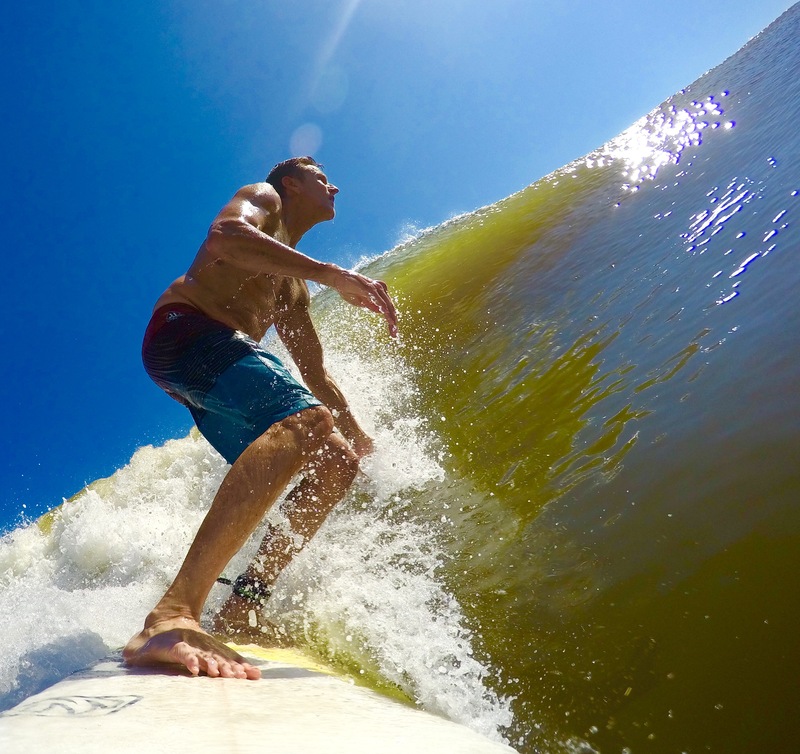 The CT features larger, more powerful waves than what QS’ers are typically accustomed to. In addition, the event seeding system pits lower-ranked surfers against the highest, most talented and often most experienced CT ones. So these rookies will be facing not just the best in the world– but the best of the best, right off the bat. This year, that includes Medina who Dantas will face in his very first CT heat. It’s just a tough ladder to climb, although Snapper will give both a fair shot. Ultimately, both Ferreira and Dantas could easily find themselves fighting to stay on tour by the end of the year. …Ditto Jadson Andre. 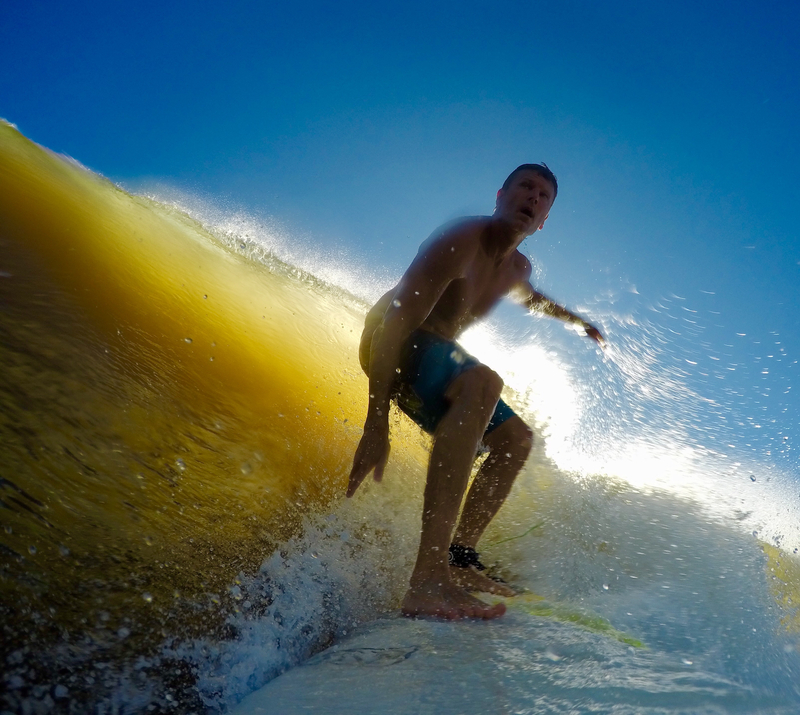 Jadson is a extremely talented surfer and by all accounts, a great guy. But he has ambled inconsistently along the WCT since arriving with fanfare in 2010 when he finished 13th. Since then, Andre has finished 22nd (2011), 32nd (falling off tour in 2012 and having to re-qualify in 2013), and just making it back this year by securing the final 22nd CT-issued slot by the skin of his teeth (or CJ’s foot). He also qualified via the QS, and may well wind up having to do it again, this year. But, will he ever break away from the lower third of CT performers? He seems to be stuck in the rip as Alejo Muniz, despite Alejo’s valiant year-end effort. What about Miguel Pupo and Felipe Toledo? I loved seeing more of these guys, here. They’ve been on the cusp of breaking out with Toledo showing a bit more promise both in small waves and larger ones. Felipe finished 17th overall last year (15th in 2013) and also won the QS while at it. He finished with two 5ths at Pipe and Portugal, which bodes well for his future. On the flip side, Toledo himself has admitted that he needs to work on his heat strategy. 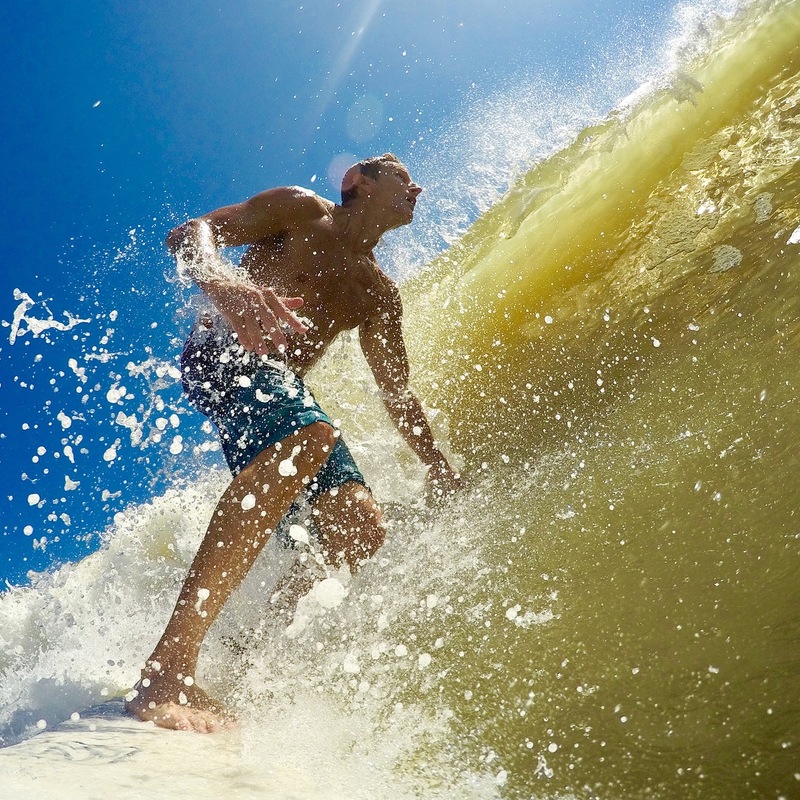 And head games can often prove to be more of a lingering problem than things like acclimating to larger surf. I do believe Toledo will crack the top 10 and that we may see him end up swapping places with Adriano De Souza, this year. As for Pupo- I’m pulling for him. He seems determined to keep up with his peers and has had moments, but has been plagued with significant health problems (now corrected). Most of all, he has battled inconsistency with a 36th, a17th and two 19th place overall finishes, including one year off the CT over the past 5 years. If Miguel can just get rid of one or two more of his 25th place event finishes, then he could potentially become a long-term fixture in or around the Top 10. Otherwise, his career begins to look much like Jadson Andre’s and Alejo Muniz’s- promising, without ever really being able to really pull it all together in a way that fulfills that promise. Adriano De Souza is a battle-tested CT elite, a perennial top 10 guy never finishing lower than 13th in the past 7 year with three top 5 finishes, a 7th, 10th and an 8th last year (even while missing Pipe). Adriano has been criticized for everything from a squatty stance to over-claiming. 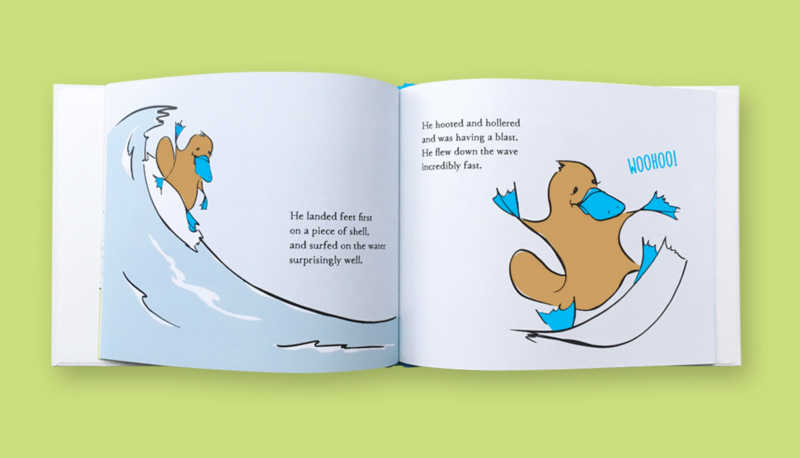 But he’s a plenty stylish, sure-footed surfer who rips in all conditions. Most impressively, he has always risen to the occasion, no matter what was required, including elevating his aerial game over the past years as rising talent levels demanded. But De Souza has a persistent knee problem and a pack of hard-charging young talent hot on his heels. He could easily slip out of the Top 10 this year. Gabriel Medina. He earned his title, even despite Kelly’s seemingly diminishing desire and John John’s late charge. But as one astute pundit pointed out on The Inertia, it’s one thing to win a crown. It’s quite another to wear it. As great as the pressure was on the boy king to win the title last year, will it be any less to repeat with the pride of his nation overflowing, the death of Ricardos dos Santos heavy on hearts and minds, and the global surf media beside itself over the prophesized Brazilian apocalypse? He is still 21, after all. It is also worth mentioning that two of Medina’s wins last year came by .03 pts each over Joel Parkinson at Snapper and Kelly Slater in Tahiti. That’s not to suggest that luck had anything to do with it, only that they were that close. Slater won his first title at age 20 in 1992, but didn’t win his second until 1994. I believe that entrenches himself in the Top 5, but will be surprised if he repeats this year, given the weight upon his shoulders… again. Kelly Slater (age 43), Taj Burrow (36), Joel Parkinson (33), Mick Fanning (33) and right behind, Josh Kerr (31) are the core CT elders who continue to clog up the Top 10 each year, making it extremely difficult for lower seeds to make their way up the competitive ladder. And these guys should never be asked to apologize for their enduring health, talent and competitive drive. The question for their competitors is how long does desire last for each? If success equals talent less motivation, then you have to wonder if Kelly’s recent comments in Surfer are indicative of the beginning of the end, as even Slater himself finds it unusual that his losses aren’t bothering him as much these days. And I can’t help thinking that if Slater finally declares himself satisfied, that it might have a domino effect within this group. For the time being, these are the guys who really dictate the world order, year in and year out. Finally, Brazil is hardly the only nation with rising young prodigies on the brink of fulfilling their destinies. Although credit goes to Gabriel for being the fastest to punch through, South Africa (Jordy Smith), Australia (Julian Wilson and Owen Wright), America (Kolohe Andino and Nat Young) and Hawaii* (Who da guy?) all have young guns in contention to step into those top rung spots and potentially secure a championship for their respective countries. Every one of these guys are rock solid in big waves or small, all are coming on strong right now and at the end of the day, there are only so many spots at the top. *Hawaii is America’s 50th state. 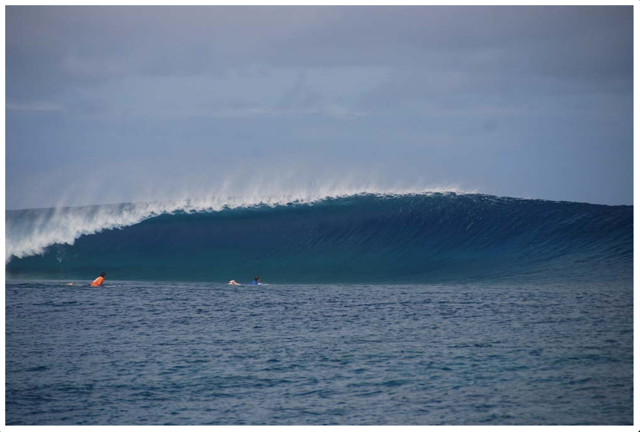 Any wonder why they call this spot the Mentawai Wavepark? 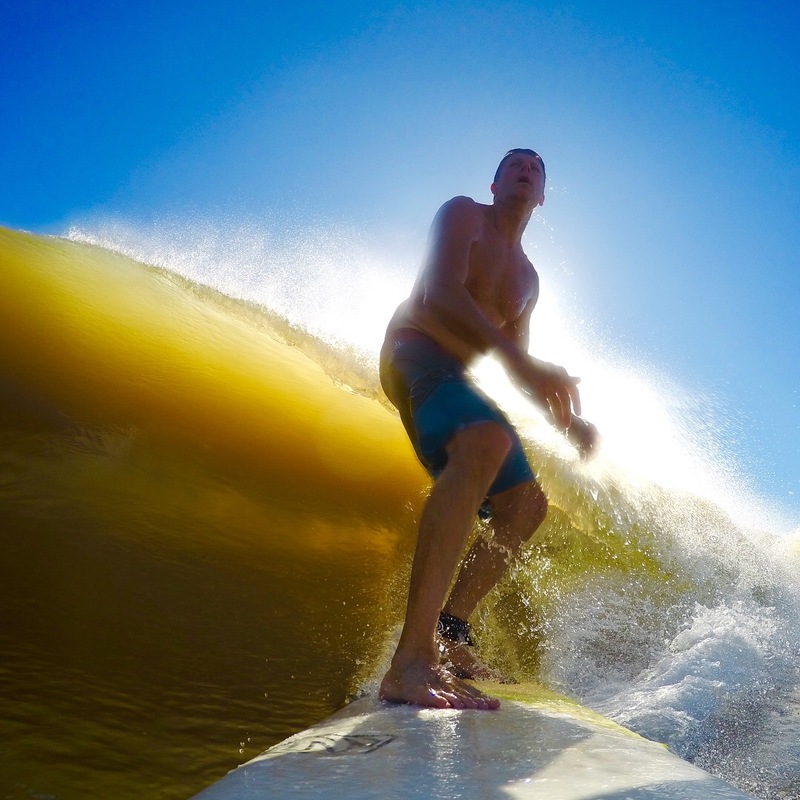 The man in the video getting barreled over and over is Christie Carter, official MD for Mentawai Wavepark. Not a bad place for an office. 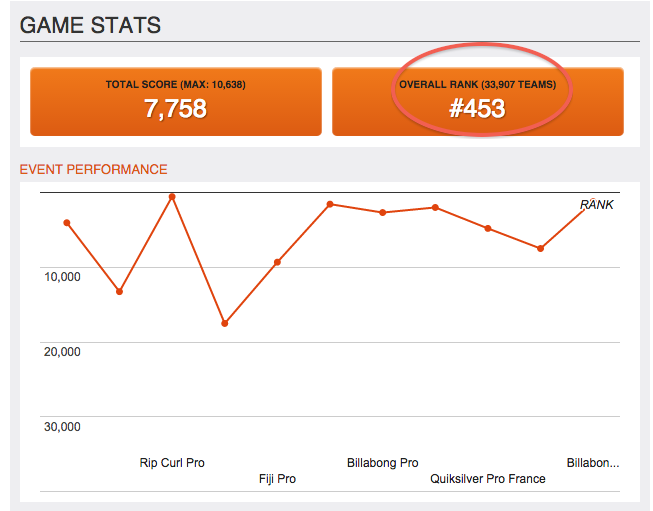 If Fantasysurfer awarded a combined Men’s/Women’s performance prize, I think I’d have a good shot at winning! My Men’s team final results – Not bad! 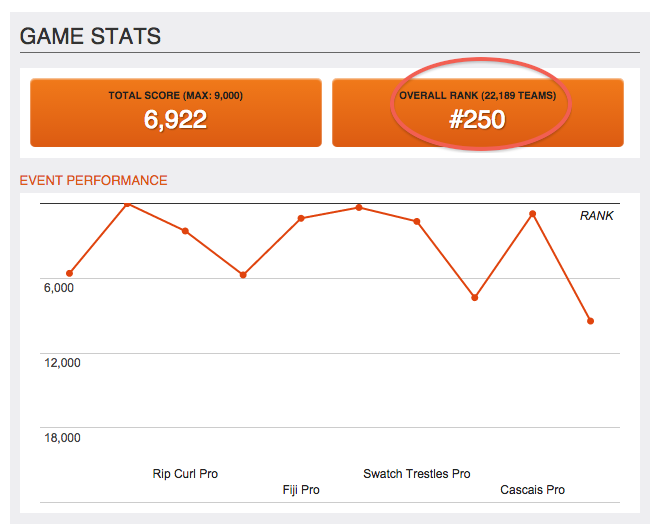 My Fantasysurfer 2104 Women’s team results- even better! Well, the 2014 Association of Professional Surfers’ 2014 World Championship Tour ended with the culmination of the Pipeline Masters in Hawaii, yesterday. The ASP crowned a new World Champion, Gabriel Medina- at age 20, the youngest world champion since Kelly Slater. Medina narrowly beat out Slater and Mick Fanning for the title, which would have been Kelly’s 12th. 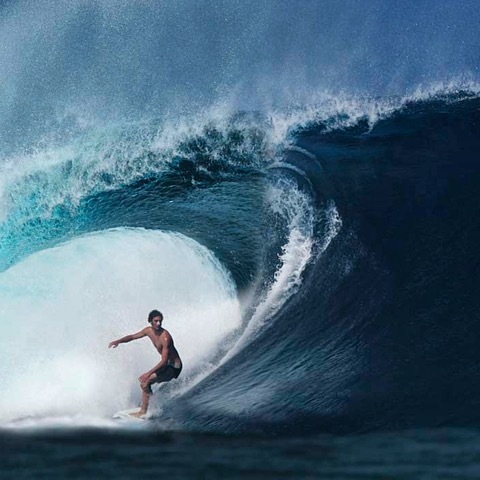 The best surfer to ever walk the earth may possibly retire, or not. At age 43, he still has the ability to win it all and it is only his interest level and motivation that will likely determine whether he comes back or not. 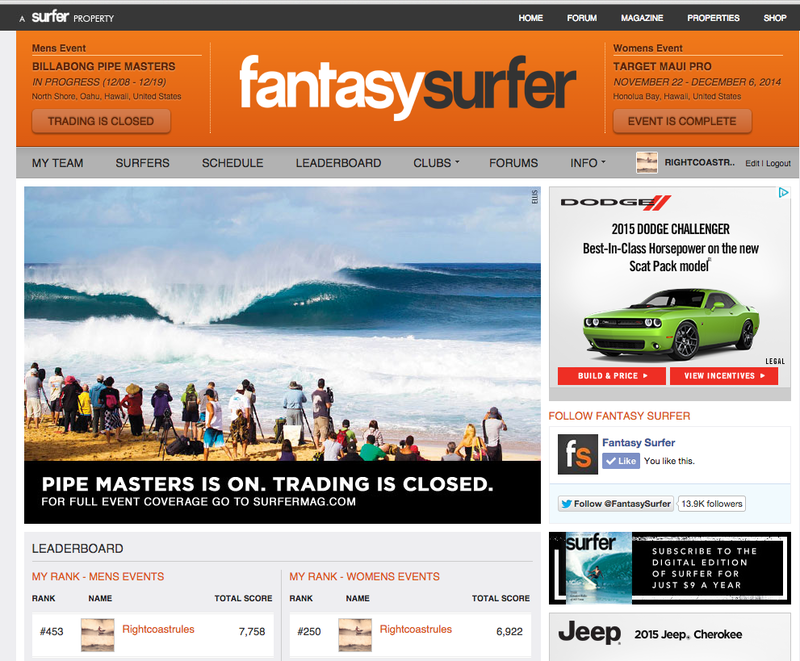 I completed another year of Surfer Magazine‘s Fantasysurfer.com competition (a fantasy surfing league where you have a $50,000,000 budget and select and manage a team of surfers), where the men’s side winner wins a trip to Hawaii. It’s a fun game. 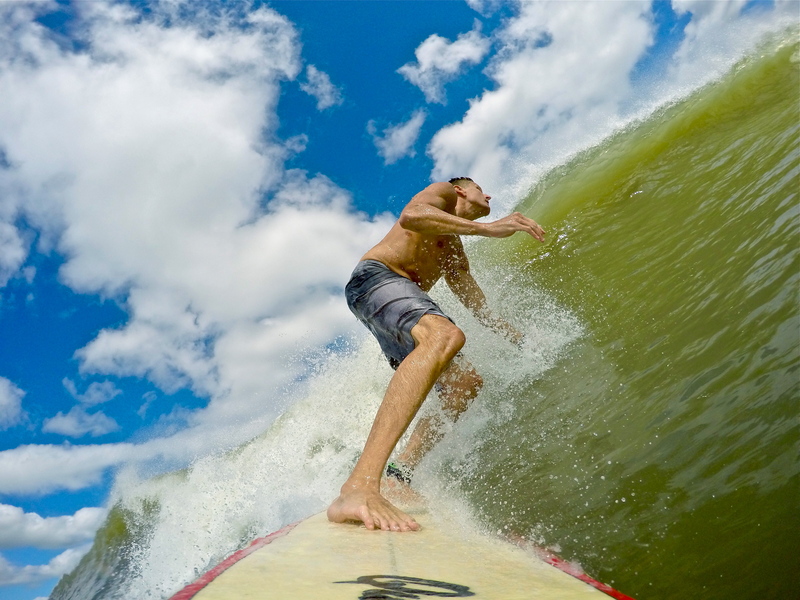 Just like all fantasy leagues, you need to know a great deal about all of the surfers, their abilities and tendencies, the breaks and what kinds of conditions each surfer performs best in, etc. I’ve cracked the top 50 in the men’s side previously, and had another good year this year. 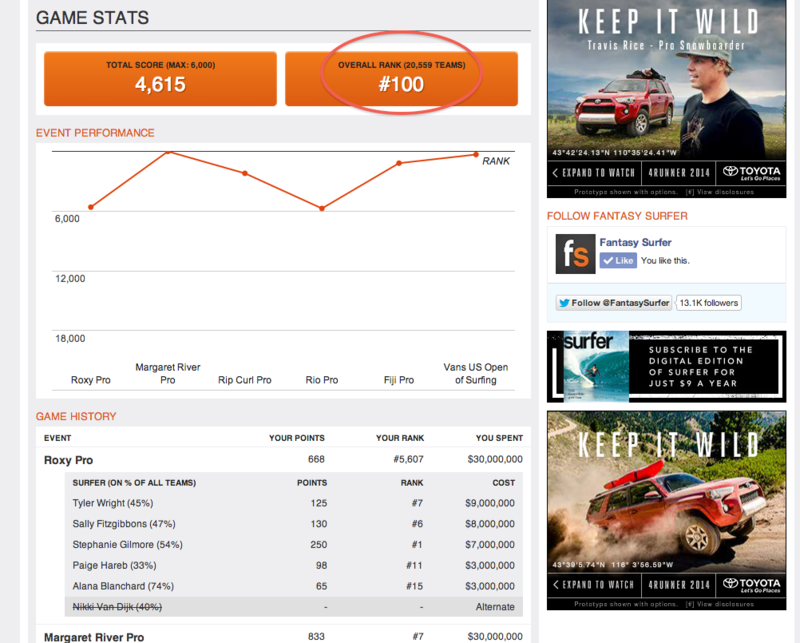 On the men’s side, I came in 453rd this year out of 33, 907 teams- finishing in the top 1%! On the women’s side, I came in 250th out of 22,189 teams, also in the top 1%! Unfortunately, Surfer Magazine does not give out a prize for either the women’s side or for combined performance. If they did the latter, I think I’d have a great shot of winning the whole thing. Oh well, maybe one day they’ll at least let me fill in for Shea Lopez and/or Ross Williams to write for their Fantasysurfer.com blog! Yes, that’s right! 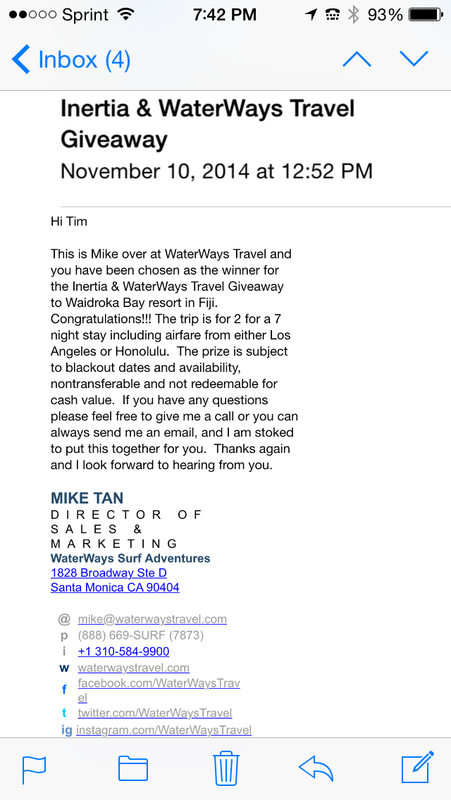 I just won an 8 Day / 7 Night all-expense paid trip to FIJI!!!!!!!!!!!! The trip is courtesy of Waterways Travel, one of the most experienced and renowned surf-travel outfits in the world, based out of Santa Monica, CA; and The Inertia, one of the action-sports world’s highest-profile web-publishers, focusing on surfing and mountain sports, also based out of Santa Monica. It includes EVERYTHING. Airfare from LAX; round-trip transportation to and from the airports; first-class accommodations (oceanfront bure) at Waidroka Bay Resort; 3 meals per day; hotel taxes; and daily boat rides to the surf breaks! Needless to say, I am stoked out of my mind! 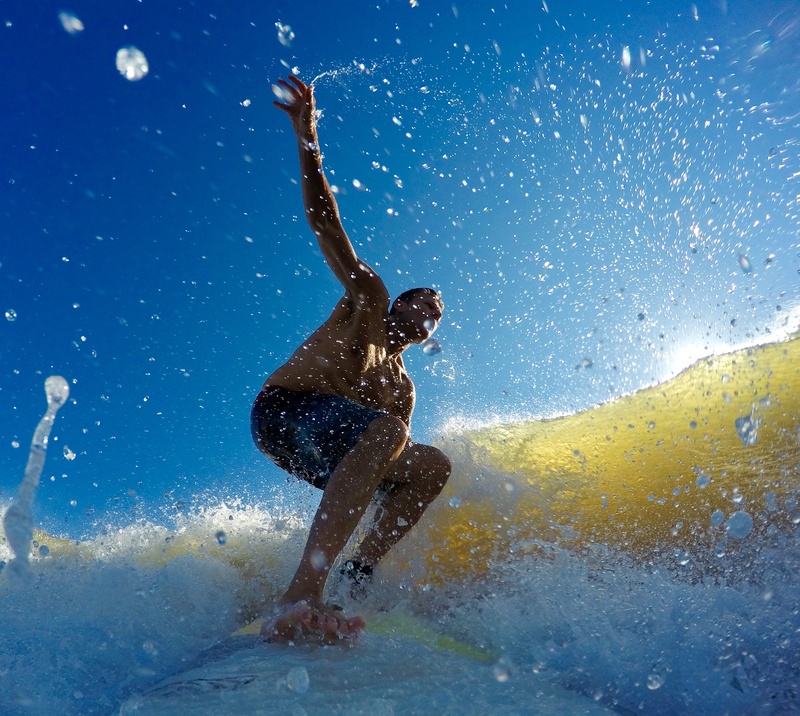 Fiji is a true “bucket-list” destination for me and any surfer (or anyone, really). We have decided to also take our girls, Kendall & Kaelyn, ages 15 and 12, with us. We were planning a family trip to Nicaragua for next summer and that trip for all of us would have cost almost as much as carrying two extra to Fiji! So, we are now looking forward to traveling halfway around the world with them, further broadening their minds and perspective, while introducing them to Fijian culture. I understand that the Fijans are some of the friendliest people on earth. I know that Fiji is one of Kelly Slater’s favorite places on the planet, and I am guessing that his world perspective is as broad and deep as anyone’s. The contest was promoted through The Inertia, a website I have written for fairly extensively in the past. It was well-promoted both on their website and within various social media channels (Facebook, Twitter, Instagram, ect.). I originally saw it on Instagram. On some channels, and on the Inertia Website, all you had to do to enter was provide your email address. On Instagram, the Inertia asked entrants to state why they felt they should win the trip and to tag their posts with the hashtag, #GoThere. Here is my post. As you’ll see, I did a few key things. I came up with not one, but multiple reasons I should win. I also offered to WORK for the prize by promising to write 12 articles for the Inertia in 2015, including 4 for Waterways. I also promised to report back about my trip on The Inertia and in social media, and offered to dedicate a full day of our trip to the service of the local people, something I am passionate about. I also tossed in a little humor, which always helps, generally. My post, while written to entertain, was also at its core, sincere. This is truly a dream come true for me. When I saw the opportunity, I simply used a little creativity to come up with a Win-Win-Win proposition for myself, the publisher and the advertiser. I love writing generally, and love writing for The Inertia in particular. 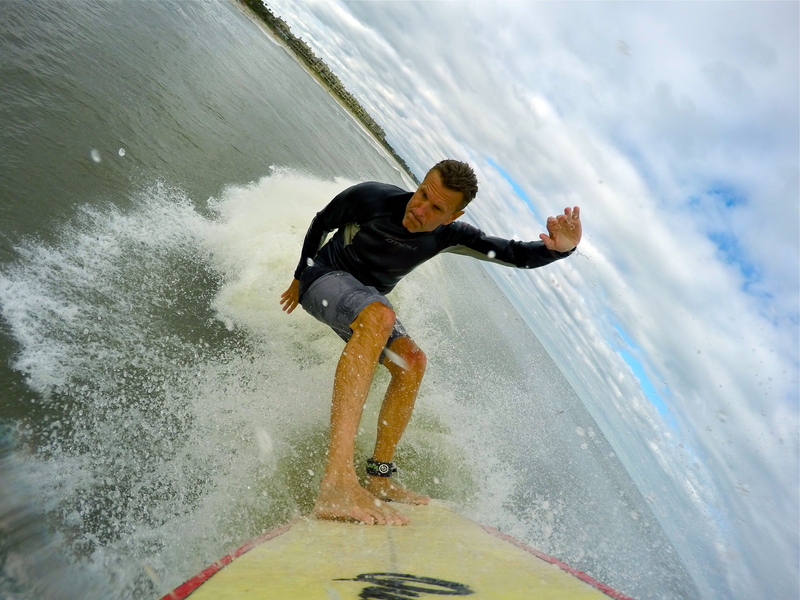 And I am stoked to get to work more closely with Waterways Travel, because my surf-tripping won’t stop at Fiji. 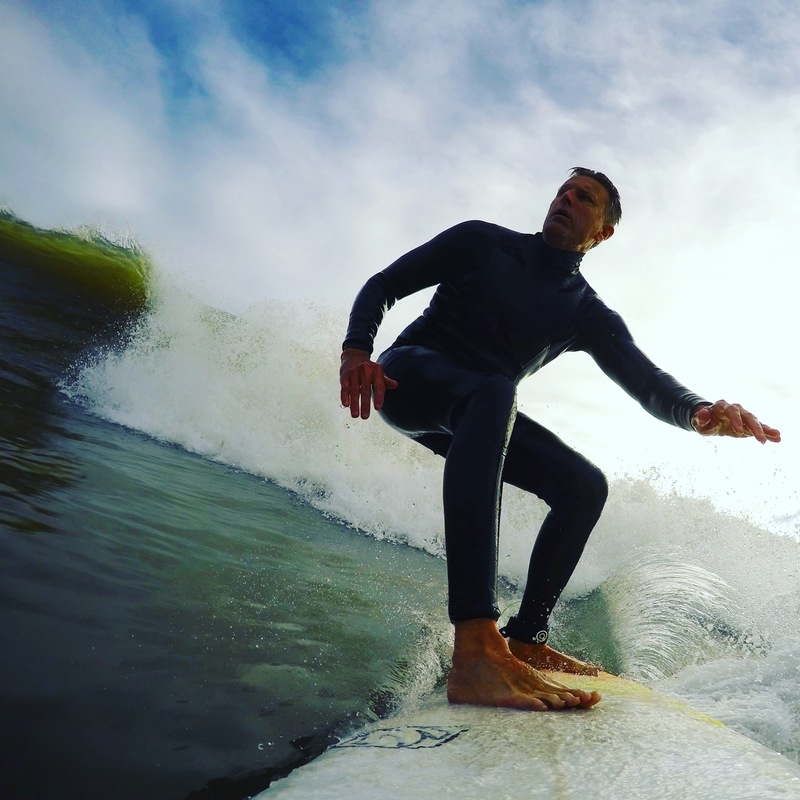 I consider traveling (and traveling for surf, specifically), core to my being, even if it had become more challenging financially for me, recently. 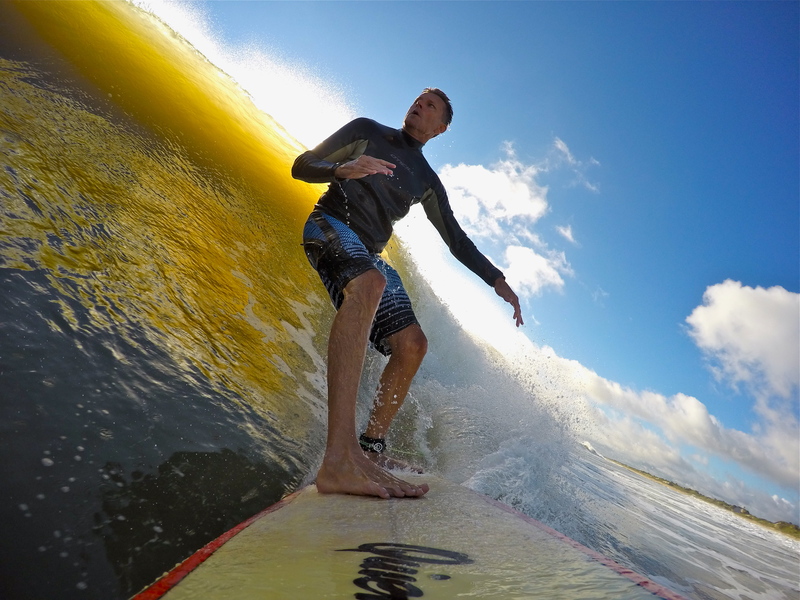 Below is a copy of my post and a few pics from the Waidroka Bay Resort website showing some of the waves in the area. We are leaning towards traveling in late May or early June and hope to catch it good! As a third-generation native of Jacksonville, Florida, I’m not much of a cold weather guy. I start shivering when the water drops below 72. That said, winter surfing does have its appeal, as does the natural beauty of places like this in Vancouver Island. How beautiful is this? Enjoy! Did she get through her heat? Had a great time at the 2014 Sisters of the Sea / Saltwater Cowgirls contest on September 6th, at the Jacksonville Beach Pier! 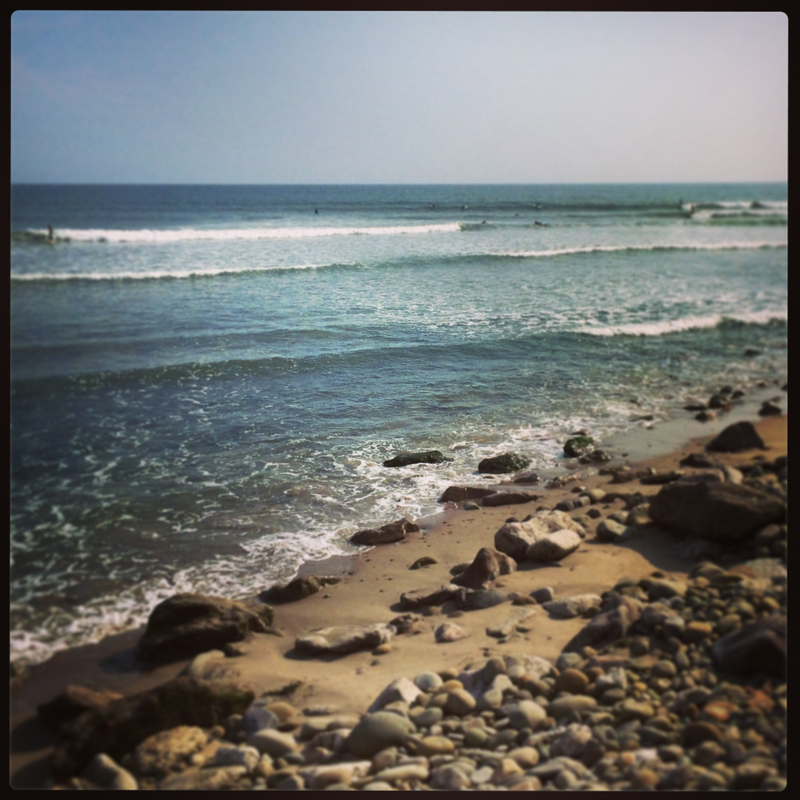 What a wonderful event this is for all surfer girls / women of every age and ability. The spirit of the event is really supportive, and I would venture to say that vibe does not come altogether easily or naturally for many women, or surfers. But it sure showed on the beach at this event, which has been held for about 15 years now, I believe. Very proud of Kaelyn who made it through three rounds in the most crowded division (the 12U Whitewaters). 1st place in her first heat; 2nd place in her second heat; and 4th in her third heat. 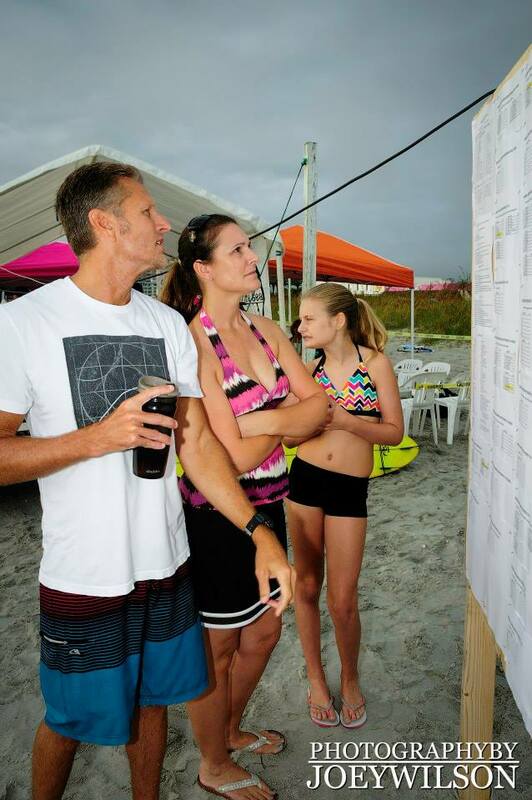 She missed making the final by a single surfer! Arrggh, so close! Sorry, honey! 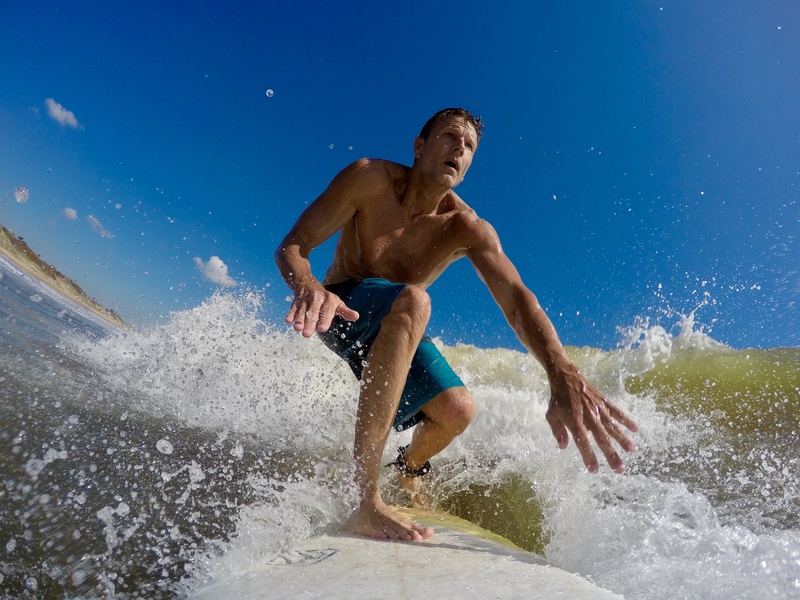 Thanks to all the volunteers, sponsors and photographers, including Joey Wilson, who snapped this one. Below are a few video clips of Kaelyn. There wasn’t much to ride the day of the contest, so Kaelyn’s strategy was just to ride each wave as far as she could. She had quite a few step-offs during the day. In her semi-final heat, I lined her up outside in what had been our sweet spot all day, but the peak had shifted over with the tide and she couldn’t find quite enough good ones. Oh well, next year! Killin’ it in Fantasy Surfer! 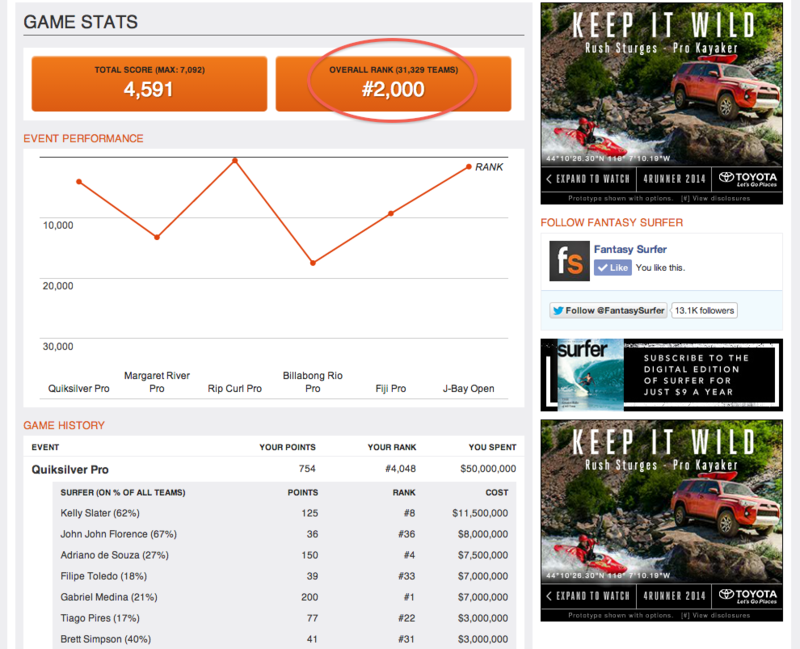 I’m continuing to do pretty well in Surfer Magazine’s Fantasy Surfer competition this year. 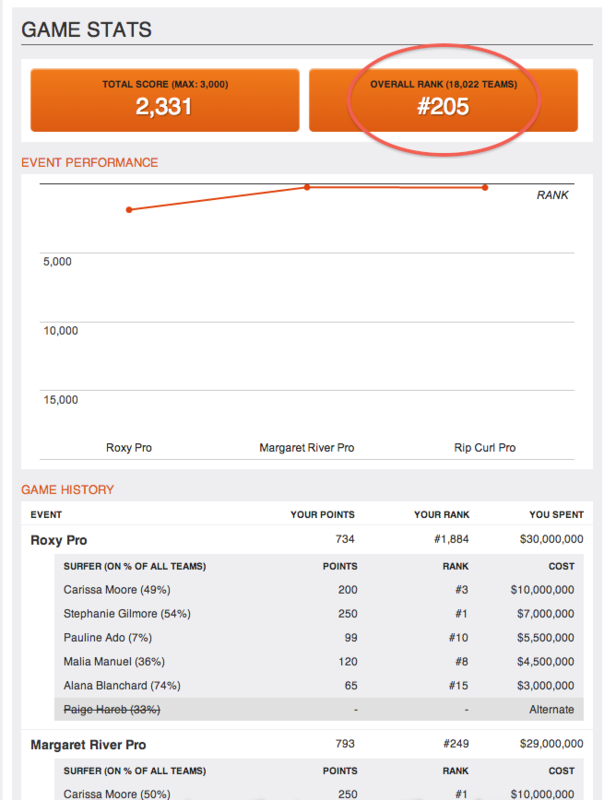 With 6 out of 10 events down for the women’s side, I am currently in 100th place out of 20,559 players! I’m definitely in great position to win the whole thing with 4 events remaining! For the men, with 6 of 11 events complete, I am in 2,000th place out of 31,329 teams- not as good as the women’s, but still pretty decent (about 94th percentile). The winner of the men’s side gets a free trip to Hawaii! The winner of the women’s side gets… nothing (a mention in the mag). I think it’s a real (sexist) shame that Surfer has it set up that way, but hey. I think they should award the overall winner (men’s + women’s) with one trip; then the winners of both the men’s and women’s sides getting trips, as well. I think I’d probably be in the Top 10 if they were combining the performance of both sides. Wow- what can you say about this? This is why I surf. It’s not what most of us experience, but is what most of us chase relentlessly, physically or emotionally. It certainly lends some pretty strong gravity to the feelings that can be achieved gliding on water in the middle of nowhere- someplace tropical, beautiful and empty, save for a few good friends. I love the drone photography here which like the RED cameras and Go-Pros, have and do continue to transforming video into a whole new medium. Heaving straight up vertical slabs in the middle of nowhere. I love this. 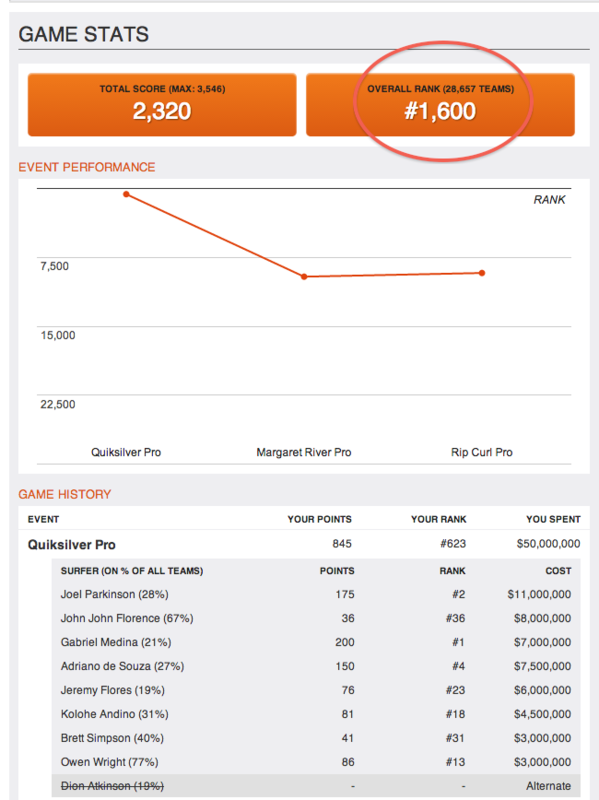 Three events into the 2014 Fantasysurfer season and I am looking pretty good… Top 95th percentile on the men’s side, top 99th percentile on the women’s side. Too bad they don’t offer the Grand Prize trip to Hawaii for the women’s division! I’m going to have to make a bit of a move if I want to win it for the men’s. But there’s plenty of time left to do that. I’m still within striking range. The stats here show the teams I began the season with (first event) and not my current lineups. I dropped a bit on the men’s side and improved a bit on the women’s. You’ve got to be consistent. With 28,000+ playing men’s, and 18,000+ playing women’s, just one bad event can really set you back to the point where you’d have no shot at winning the thing. So we’ll see how threst of the season goes. Eight more events to go, with the Billabong Pro Rio up next!